I’m doing Project 365, where you take one picture every day for 365 days. Todays picture is worth sharing with you. 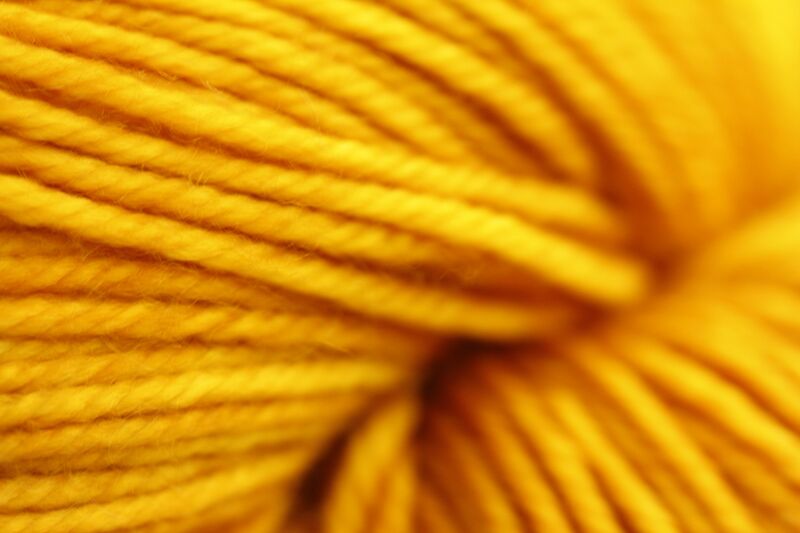 That’s Madelintosh DK in gilded. 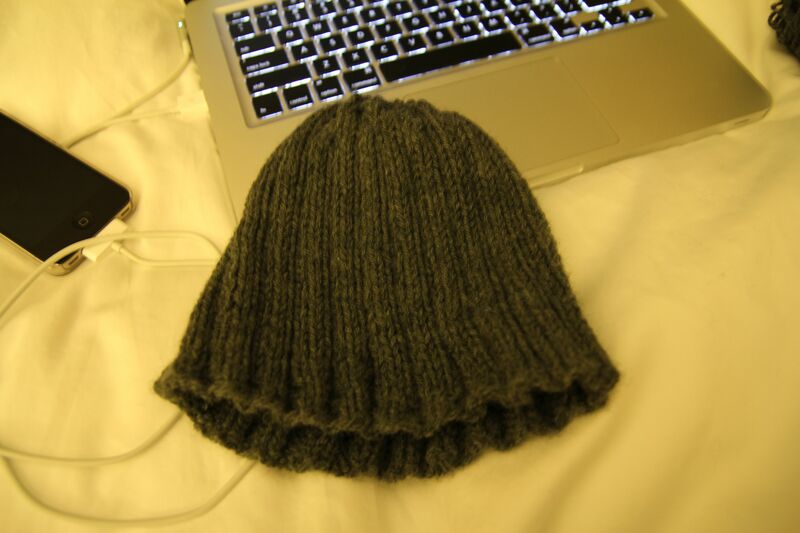 Its going to become a hat as soon as I finish my scarf (which should be really soon). My knitting is moving along slowly. It would be faster if it wasn’t 48 stitches per row. I got a nice amount done the other day while I was waiting for my dad to have a PET scan. I’m on my third out of six balls of yarn that it takes, so I’m almost half way done. 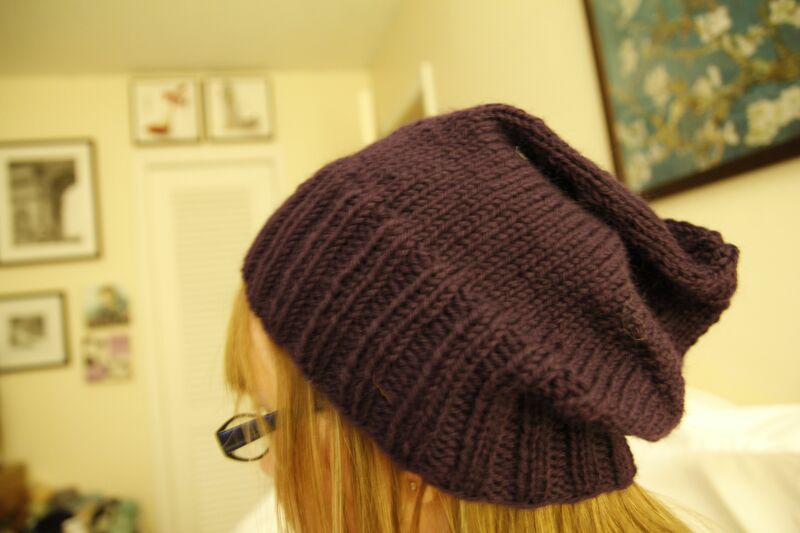 I wish I moved along faster, or knit more often because I feel like I’m neglecting this blog. I’m just not that interested in the scarf I’m knitting. Its not a challenge. 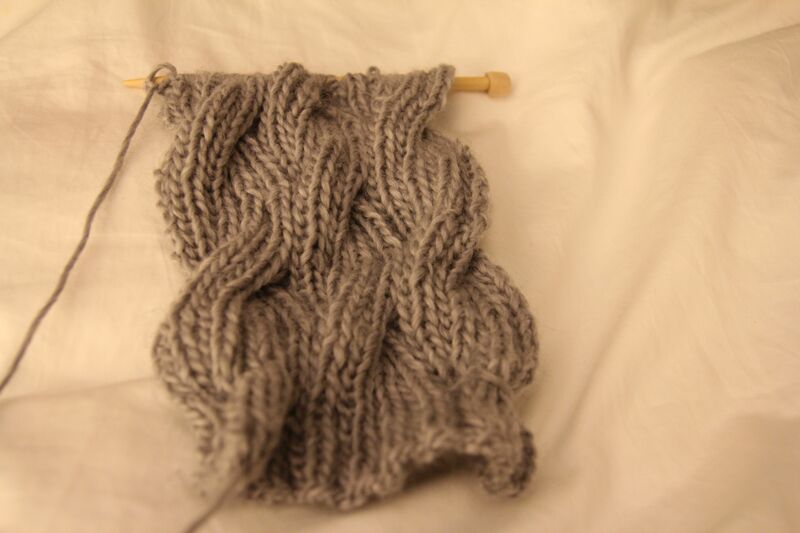 The yarn is soft, and its turning out really pretty, but I want to move on to something else, I guess. I’m not going to though until I finish this scarf. Otherwise it will sit there unknit and the yarn won’t be busted from the stash. I’ve decided, however, that I could easily review knitting books on this blog. I have enough of them. I’m a book whore to begin with, so if its a knitting book, hey! That’s great. My most recent purchase was Knitting at Home by Leanne Prouse (as if you can’t read that above). 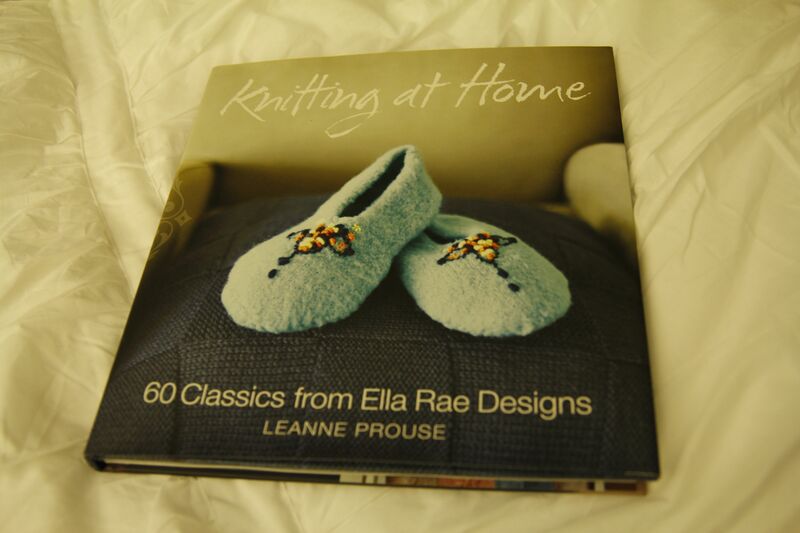 Like it says, its from Ella Rae so all yarns recommended are Ella Rae. I haven’t actually used their yarn yet. I have some in my stash for hats, but my LYS carries quite a bit of it, and it comes in great colors. Their Classic yarn, which they use in many of the patterns, is just like Cascade 220, except Classic is washable. This book is FULL of patterns for just about anything. From socks and sweaters, babies, kids, adults, to pillows and tea cozies. They’re all very pleasant designs as well. There’s plenty of single color knit projects, and a fair amount of color work. There are several patterns in this book that I would like to work. I especially love all of the projects for the home because I’m always looking for a throw pattern I’d like to knit, and I love knit pillows. The patterns are clearly written. Measurements are metric, but that’s easy enough to work with. They do give you US needle sizes though, so no looking that up if you don’t have it memorized. I would say if you are looking for home patterns particularly, this is a fantastic book. Either way, its worth a look if you see it at your local bookstore. mittens not made in heaven? I started working on Bella’s mittens. 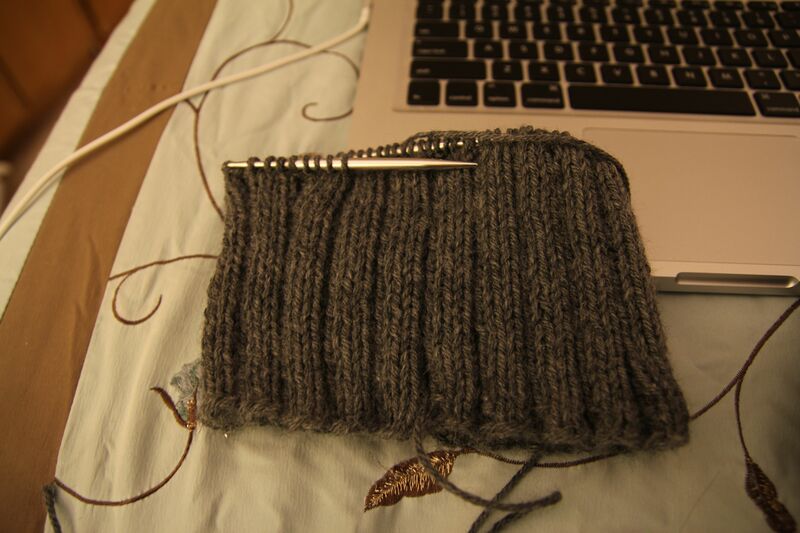 I’ve gotten to the thumb gusset for the first one but haven’t bothered with it in a few days. I needed something that didn’t require as much paying attention as the mittens do last week when I was taking my dad to the doctor. I decided to start on Cinder bY Jared Flood. 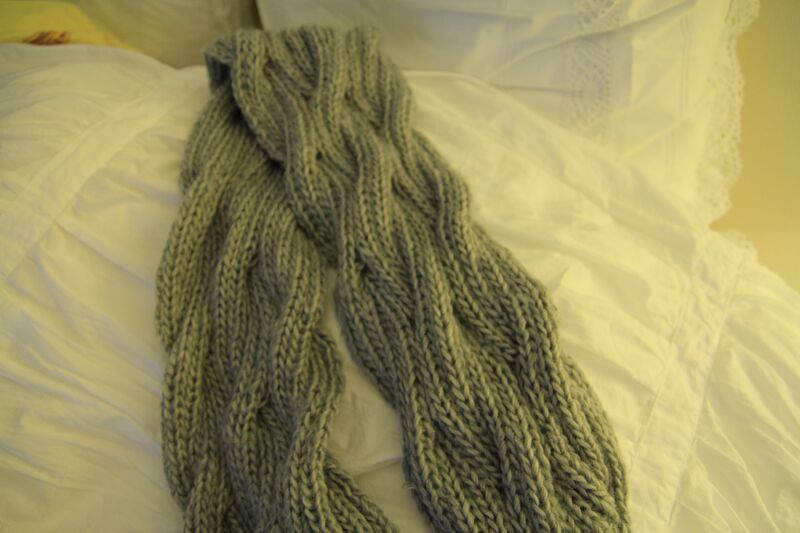 Its a lovely scarf with a sixteen row pattern that’s easy to remember. I’m a ball of CEY Ariosa into it and can tell its going to be super soft and cozy. Do I send it to someone or keep it for myself? Decisions. Speaking of sending things to people, I have a friend with a baby on the way in May! I’m not sure how much that’s going to help my stash busting, but I’m super excited to get to do baby stuff! I know I’ll do a blanket, a couple of hats, booties. I don’t think she’ll need a cardigan in May so I’ll knit her one in the fall. What other stuff should I consider knitting for baby?